Here’s a recent, must-watch TED Talk from Elon Musk, who has been involved in founding companies PayPal, SpaceX, Tesla Motors, and SolarCity (phew). What’s fascinating is that in this interview video, Musk explains the overarching ideas that have driven him to be involved with these types of companies. I’m posting this video because you’ll notice that the ideas he talks about are very relevant to the themes we often discuss here on The9Billion. 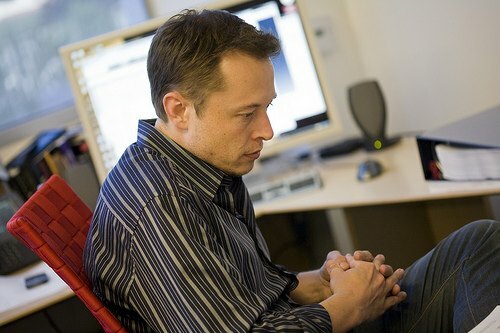 Musk explains that when he was at university he asked himself, “what are the problems that are most likely to affect the future of humanity?” He believes that sustainable energy is the biggest problem we have to solve this century, and that’s even independent of serious environmental concerns, because fossil fuels are going to run out. As we do here, Musk believes it’s extremely important that humanity develops both sustainable transport and sustainable energy production as quickly as possible. Further, Musk says that because we have to solve sustainable energy generation (or we’ll be in deep trouble), at the same time it makes total sense for us to develop electric vehicles as a main mode of transport. In fact, he predicts that all modes of (motorized) transport will become fully electric, with the exception of rockets. Musk points out that obviously we have to have both sustainable electricity production as well as consumption. He asserts that he is “quite confident” there will be more power coming from solar than from any other source within 18 years; hence his involvement with SolarCity. He also says that he is quite confident that solar power will eventually be the primary means of power generation, adding that, “we’ve got this giant fusion generator in the sky called the sun. We just need to tap a little bit of that energy for the purposes of human civilization”. Arguably, Musk is doing as much as, if not more than, just about anyone else to help make these major goals a reality, and to accelerate the pace at which they happen. The video is well worth a watch, it’s inspirational stuff.